Sony Ericsson fans... By the left, quick, march! 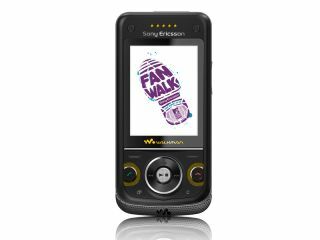 Sony Ericsson appears to be either heavily eco-friendly or wants to test the resolve of its customers to the limit, as it has found 100 of them to walk from London to Liverpool top this year's MTV European Music Awards. Designed to find the fans that really care about music, the FanWalk will see 100 people, including 10 from the UK, walking the 400km over nine days, and here's the kicker... they'll be blogging the whole way on their phones! You'll be surprised by the next bit... they're using their Sony Ericsson handsets to do so, and will be interviewed and photographed and all sorts of crazy things during the FanWalk. They'll also be tested on their musical knowledge, and the most knowledgeable fan / music-geek will get to present an award at the EMAs themselves! Members of the UK public submitted videos, images and a description of why they felt they deserved one of the 10 places to take part in the walk. So if you want to find out what Liekl from Liechtenstein thinks about Leicester, then head on over to www.fanwalk.tv and check it out for yourself.